It's time for another SteemSavvy update! 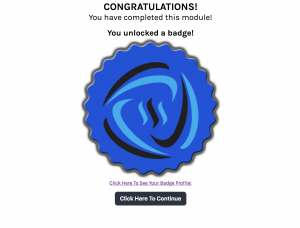 The next module added this week was the 'Tips & Tricks' section which will introduce members to the 5-500-5000 Formula as well as the Savvy Cycle. We will be continuing to add lessons in this module that will help users grow their accounts...With helpful advice and the best tools to aid in their journey. Tonight I have also been working on the reward section for achievements. But I'm kinda stuck on something....And I'd love to hear your thoughts. 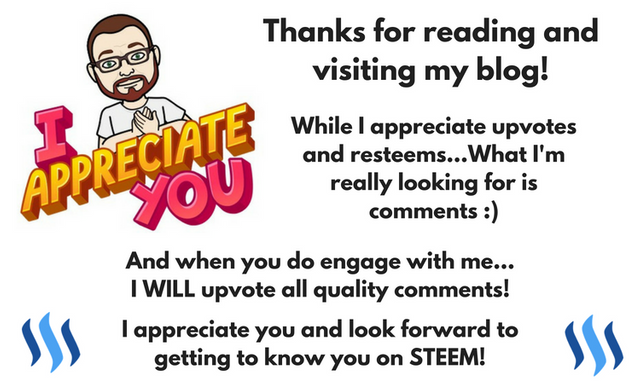 I lean on the side of using them responsibly, and to promote my content (like I'm sure I will do with this post). Never on the side of making money with them! 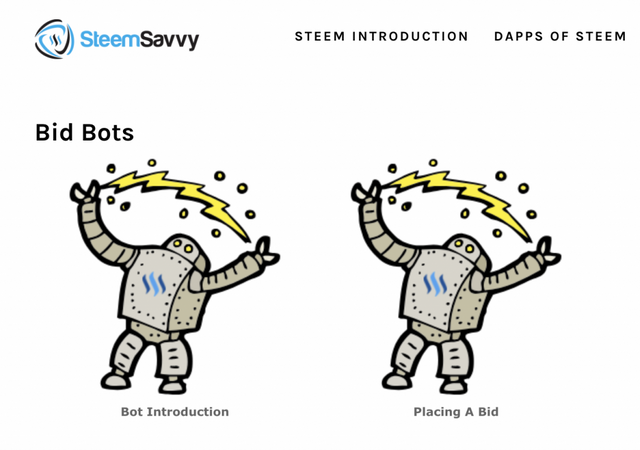 Recently there has been a ton of controversy about STEEM based training and the use of bid bots in that training. 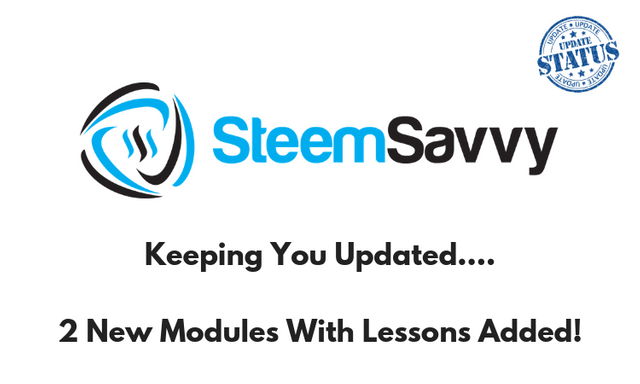 SteemSavvy was going to include training on bot promotion...But now I'm concerned. One side of the debate, I understand the need to stick out from the crowd. And bot promotion allows that. And before someone tells me it's all about quality content, I've been producing content here for 10 months to the BEST of my ability and still need bots to 'get out there' and be seen. First lesson - Don't use bid bots until you understand the dynamics of STEEM and the in's and out's of it's community. The worst thing I think we can do for new Steemians is tell them to pay their way to the top. That being said...We're really close! And as launch approaches I would still LOVE to get your feedback on what should be included as a must have lesson for new Steemians! 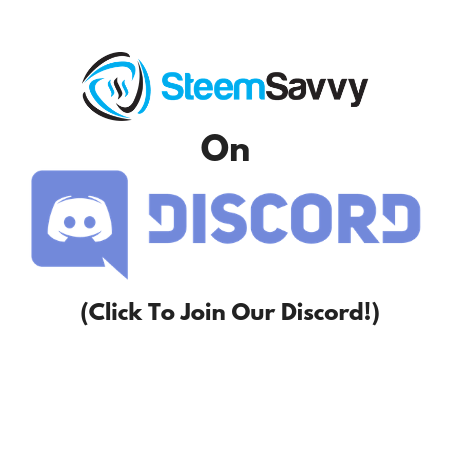 Please take a moment to join our Discord community and help build which I hope will become...The best training platform about STEEM ever! I'm really curious how everything looks when it's done. Will be interesting. it’ll be very simple for sure. but hopefully a lot of fun for members. hope they get a ton of value from it. 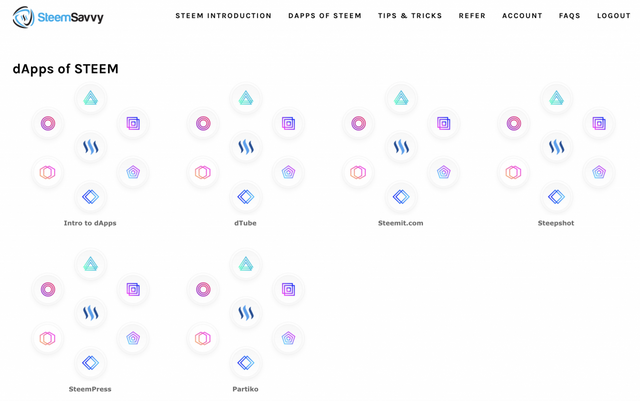 You really need to take a look at @SteemPeak for the DApps section! It's a better, always improving busy.org. BTW... got a question for the expert (you). Is there a way you can see the SteemPower another user has? Is your (66) or my (34) an indicator for it? Looking forward to the launch, @jongolson! This will be such an invaluable resource for new (and even experienced) Steemians. Love it! yessir. this should be a blast. looking forward to seeing how it’s accepted. lol crossing fingers. @jongolson SteemSavvy is looking great so far. Looking forward to the launch. It should help folks get started on the right footing. @jongolson... aka Jon, My personal opinion about bots.... when used responsibly they can help you reach people you might not be able to reach. I recommend making this a module that is not available until you reach a certain level of understanding. I think you know where that is at! :) I think showing pros and cons will allow folks to make a decision. Now with that in mind I would not penalize someone whom chooses not to use a bot... so training and understanding is a must... using one should not be necessary to progress in training! Once I have a further peak inside I will suggest a couple of d'apps if you don't have them covered. I also suggest you reference some work by others that have done some reviews... for example @ericwilson has been doing several nice reviews! I also suggest early on you add in the recommendation of adding to your coinbase account the Star for STEEM. Showing the importance of this is a good guidance on what can be done to help them and others grow! I would also make this training well after the beginning, after the user gets accustomed to Steem and forms some opinions. And I would make it optional. No forcing anyone to take the module/lessons to proceed further. I agree, but, I do think they need to know about them and what they are for! would love to get eric in on the development side of things. he knows these apps much better than most. My pleasure... I will look further at it tonight so I can give some more suggestions! Thanks for the shout @jongolson! Glad to be a help with letting you know about Actifit on iOS! man. you have no idea how much that made my day lol can’t wait to start using it now. Sounds really good Jon, I am looking forward to seeing what it looks like when you are done. thank you kindly. yeah that’s the idea. always be adding new training so that people get into the habit of continuous learning. Marvelous initiative. I'm glad I discovered it because @brandonfrye resteemed you!